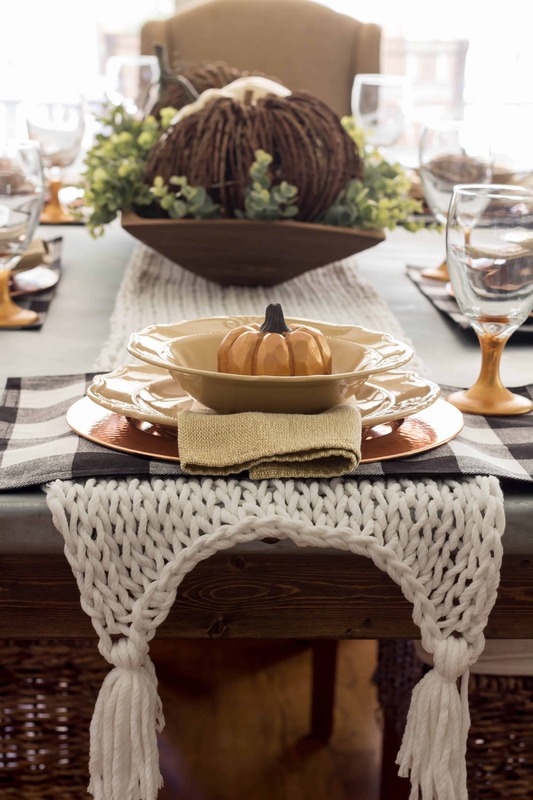 Fall is my favorite time of year to decorate and I am sharing my Buffalo Check and Copper Fall Table today. I think the reason I love fall so much because we do a lot of entertaining in October through December. We are huge college football fans and our house is usually where family and friends gather to watch the game. I feel like they think because I went to Culinary School, I want to have it here so that I can cook for them. Well, I do! I have a sign on my refrigerator that says “Love people, feed them good food” so that is what I try to do. My knitted table runner is an easy knit project that is perfect for a beginner. You can see my pattern and tutorial for the Knitted Table Runner. The knit material gives the table texture and warmth. To be honest, I try to purchase as much as I can for tablescapes from the thrift store. The thrift store is the perfect place to find items for seasonal tablescapes because so many people purchase it and only use it one time. I find items all year long so I grab it and put it away until I need it. 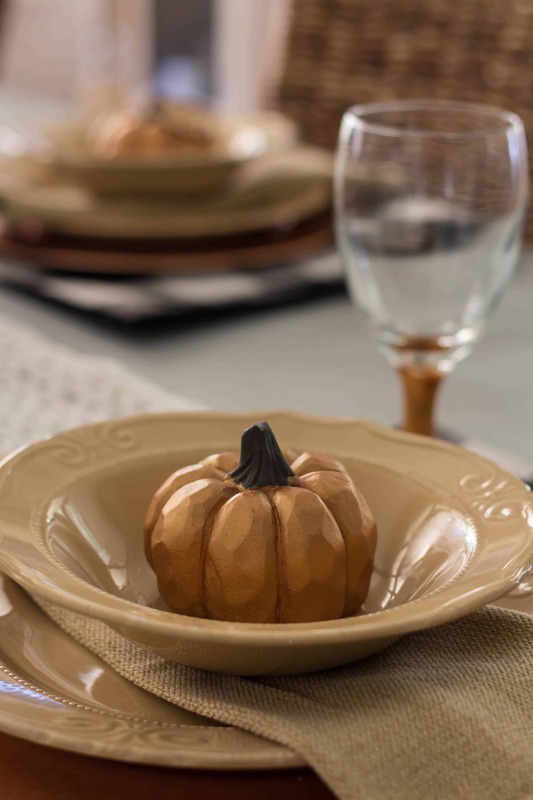 If you have trouble with creating centerpieces, a dough bowl is a great solution. 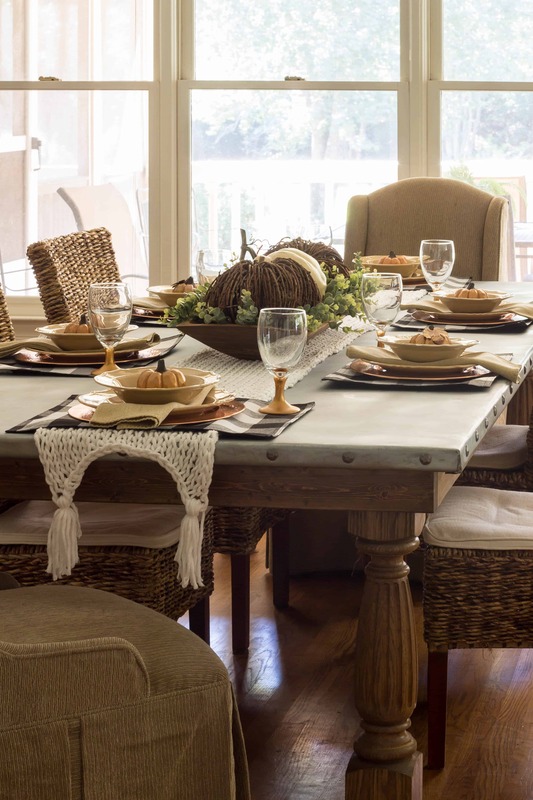 I would love to have a gorgeous centerpiece with a lot of pumpkins and beautiful greenery that filled the center of my table from one end to the other but to be real, I am not going to pay that much money to put in the center of my table. I purchased my dough bowl 5 years ago and I use it all of the time. It is perfect to throw a few fake or real pumpkins in. It also looks beautiful with cotton stems and so many other things. I actually found all the pumpkins in the dough bowl at thrifts stores throughout the year. I found the copper chargers and the dinnerware at a thrift store for only a couple of dollars. The stemware is dollar store glasses that I painted the stems with copper craft paint. The copper pumpkins also came from the dollar store. I have used these items for a couple of years but I change the look with adding a few different things each year. My husband and I built our DIY Zinc Top Table and we have a tutorial on the blog. I think this table makes all my tablescapes look better. The black and white buffalo check placemats look good paired with my gold dinnerware and copper chargers. Over the summer, Hobby Lobby had black and white buffalo check placemats for 75% off in the clearance section and I could kick myself for not purchasing them. You know the saying, Nothing haunts you like the thing that you didn’t buy. I also found a black and white buffalo check table runner for under $9 on Amazon. I will be ordering that one! Just have fun when you are decorating your home for a season. You don’t have to spend much money by reusing what you have and purchasing just a few things. 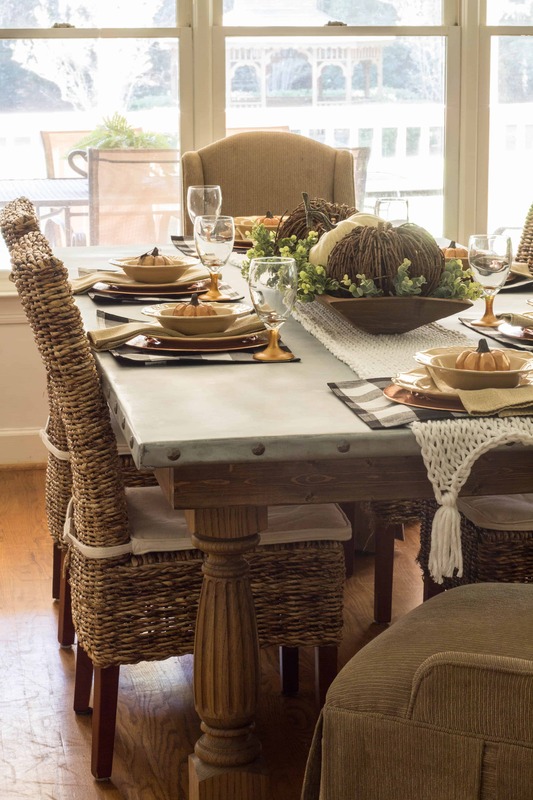 I love this buffalo check and copper fall tablescape and I love that most of the items are thrifted. So pretty. 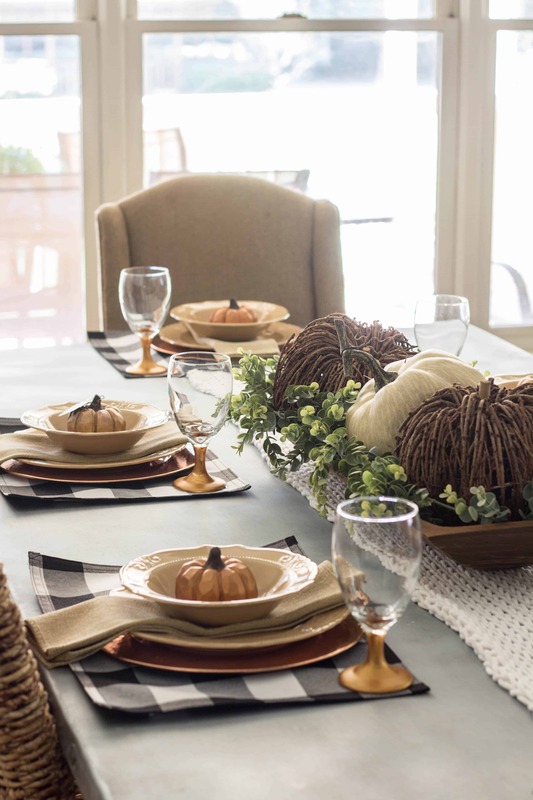 I love the checks and copper and the dough bowl center piece is stunning. 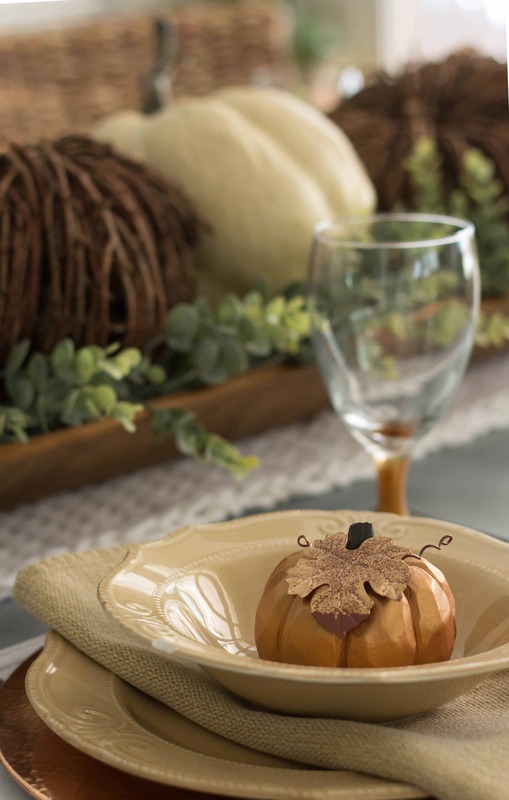 I love this colour palette Sherry and your great tips for decorating your fall table. I’m a big fan of your knitted table runner too!! 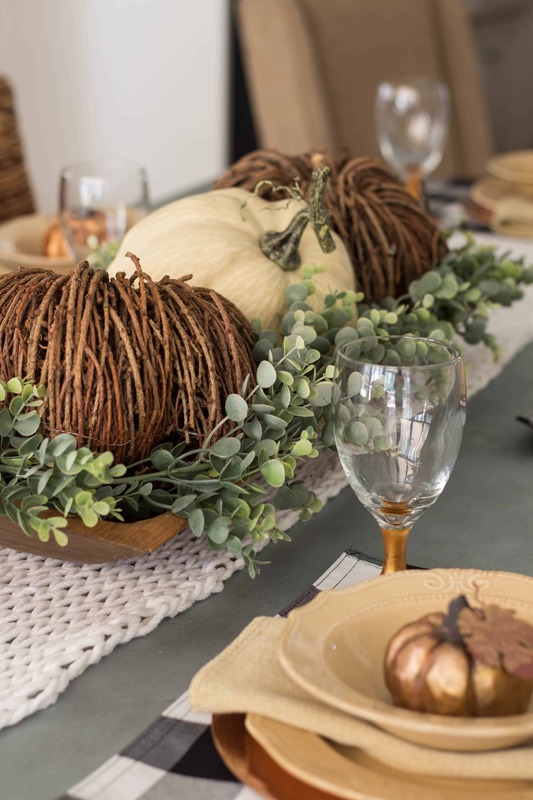 Thank you for sharing your fall tablescape at Create, Bake, Grow & Gather party this week. 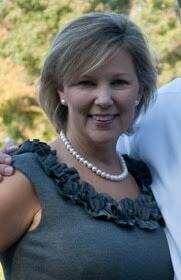 I’m delighted to be featuring it at tonight’s party and pinning too. Such a pretty table! Your colors and textures just kept my eyes moving from one thing to another! I enjoy thrifting and crafting, too. I love vintage also and enjoy decorating with “old” stuff! Enjoyed this post! Thank you so much for the sweet comment, Kathy. Decorating with vintage and thrifted items makes me happy too!